Design Function is the expert in the field, designing and building commercial graphic products for over 20 years. 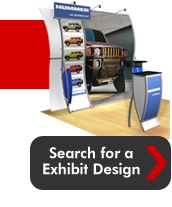 We feature Classic Exhibits for our portable trade show systems. Compare and save with any trade show display manufacturer because we combine state of the art designs along with affordable rates and on time delivery.